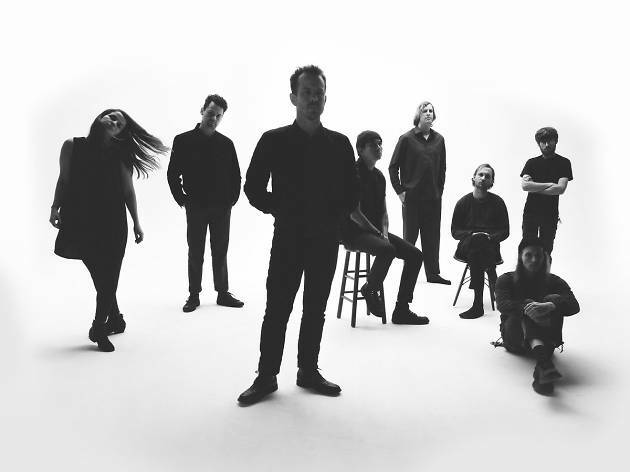 Eleven-piece Oregon outfit Typhoon makes the kind of cinematic folk-rock that requires a string section and releases records that are divided into "movements." The group gets even more dramatic on its new LP, Offerings, as frontman Kyle Morton makes his way through a suite of moody songs that are at least partially inspired by the work of avant-garde novelist Samuel Beckett—fortunately, there's no quiz for comprehension after the show. A pair of Portland indie rock bands, Mimicking Birds and Sunbathe, round out the Pacific Northwestern bill at this Tomorrow Never Knows festival concert.